The Cavan Centre, situated in the heart of Ballyjamesduff, has been operating for over 35 years supporting many individuals to expand their personal & social development through outdoor education & experiential learning. On September 14th 2016, a number of our Service User’s met at Chapel View Day Service setting off on a two-night trip to The Cavan Centre. A great time was had by all and here are just a few of their experiences. 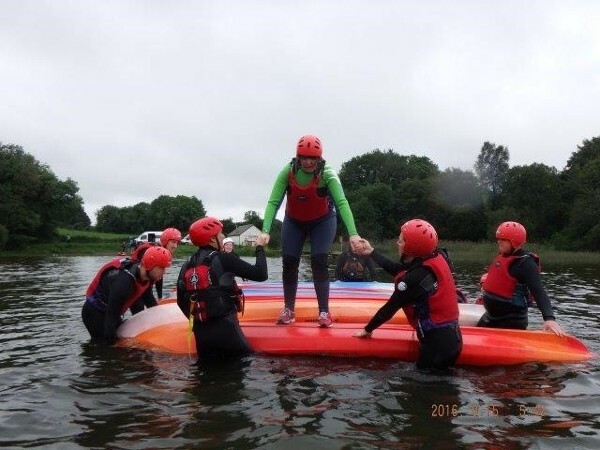 "I went on The Cavan trip and truly enjoyed it. I am already looking forward to going back next year. I enjoyed the diving, wall climbing and canoeing while on the Cavan trip. In the evening, I enjoyed using this time interacting with fellow Service Users and staff, watching football matches and also watching movies. I also went on a Ghost Walk, which was really fun. I informed staff that I was very pleased with the accommodation provided to the Service Users and that I really enjoyed the food throughout the trip. I also went go karting while in Cavan, which I had great fun participating in". "I attended the Cavan Centre trip and I loved every minute of it. I took part in all the activities provided including; canoeing, archery, rock-climbing, ziplining and the Ghost walk. My favourite part of the trip was the canoeing, my canoe toppled over during the activity, it was fun. I enjoyed the food and accommodation, my room was very comfortable and there was loads of space. I would love to go back to the Cavan Centre again, there were loads of activities to do". "I attended the trip to the Cavan Centre and I thoroughly enjoyed it. I would like to express my gratitude in being given the opportunity to go and I was very excited to inform staff regarding the activities I participated in. My favourite part of the trip was the Kayaking. However, I also enjoyed the wall climbing, the movie we watched and the Ghost walk, which I felt was very scary. The food was delicious and I would most definitely love to attend this trip again if the opportunity arises". The Centre is staffed by qualified and experienced community youth workers and offers many programmes from empowering communities, breaking the cycle, respite stays, local training initiatives, training courses, trainee youth and community worker programmes and much more. The Cavan Centre boasts facilities such as; a multi sports pitch, a volleyball court, a gym stocked with both indoor and outdoor equipment, a large campsite area, a 1kilometre walkway named after former Chairman of The Cavan Centre and Independent T.D., Tony Gregory. It also offers its guests use of its onsite low level ziplining, pitch and putt and much more. Inside the Centre, guests can make use of a large recreational area, a playroom, an art therapy room, breakout spaces and the training and conference rooms. Activities are offered both day and night and on and off the water depending on each guest’s wishes. On site Accommodation is enhanced by its natural tranquil environment and surroundings and generates a cosy home of open lit fires and superior cooking.